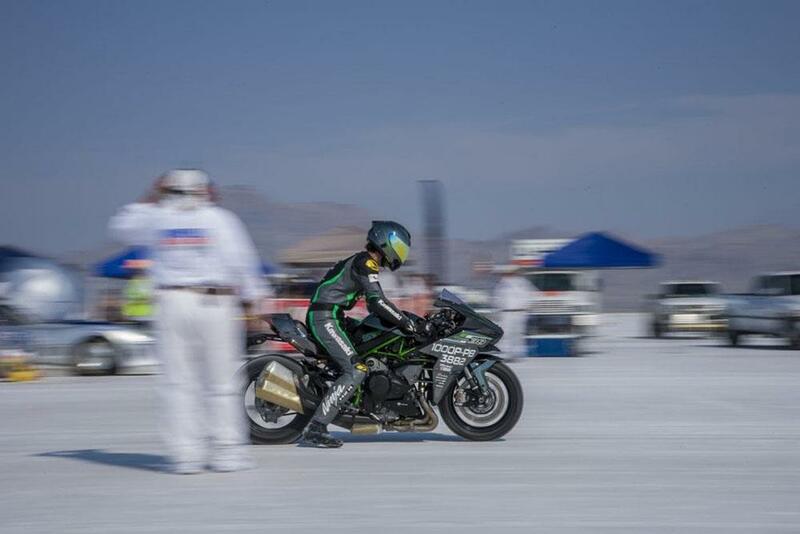 Kawasaki have released a video detailing the Ninja H2 setting a new record at Bonneville Speed Week. The bike run by Team 38, an independent outfit, reached an average speed of 209.442mph across two runs which is a new record in the P-PB 1000 class. The class is for production models with supercharged engines up to 1000cc and modifications are strictly limited, meaning the power of the base bike is important. Speed record attempts have been made at the Salt Flats in Utah for over 100 years and the salt is a tricky surface to ride on making the feat all the more impressive.